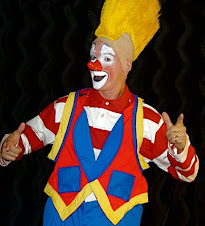 Gary "Gilligan" Spear (son of John Spear of Spear's Specialty Clown Shoes of Springfield, Mass. 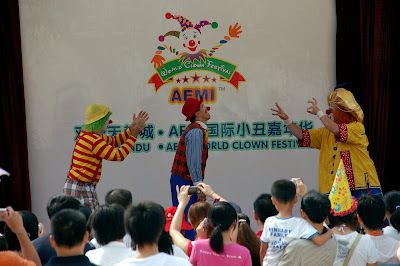 ), Andrew Scharff and I prepare to perform "The Levitation Gag" together as UMM-BOO-WEE on the Beach Stage of the Happy Tiandu International Clown Festival in Tiandu City (just outside of Hangzou), China. I'm not sure, but I believe this is Lou Nagy on Ringling. Unfortunately there is some sad news to impart from this side of The Pond, although I don't know if you transatlantics will have heard of the gentleman. 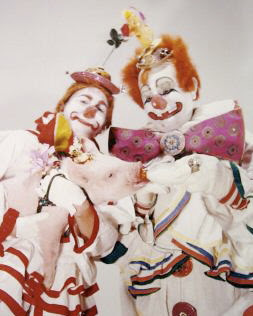 Having worked in Europe, you may have heard mention of the French clown duo called Bocky and Randel. Randel (the auguste Andre Randel) died in May 2005. 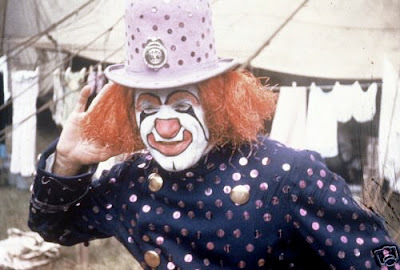 Now I learn that the white-face Bocky (Roger Maslard) died on 8 October, aged 80. I am deeply saddened to learn of the sudden passing of my friend, Ed O'Neill, an extremely kind and generous man and a truly wonderful clown to watch and to learn from. I only wish that I'd had the chance to talk with him one more time, to really thank him for all the help and guidance that he's given me through the last 10 years. If anyone out there has photos of Ed that they'd like to share, please send them to me at cashincomedy@yahoo.com. Edmund J. O'Neill Jr., 66, passed away Sunday, Oct. 7, 2007, at Raritan Bay Medical Center, Perth Amboy. Born in Bayonne, he had resided in Parlin for the past 20 years. Before his retirement in 1997 he was employed as a professional photographer with Van Cleff and Arpels in New York City for 35 years. 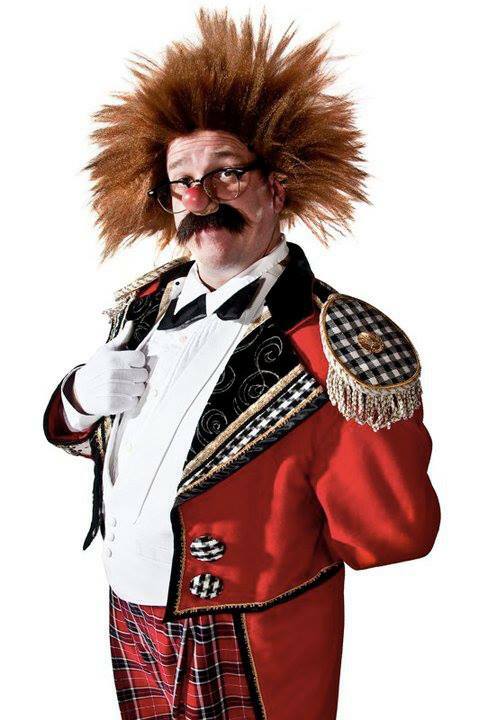 Edmund was also a self-employed magician and clown appearing for over 30 years professionally, known as "Otto T. Clown" and the "Amazing Ed." 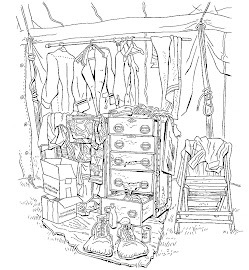 He was a member of the International Brotherhood of Magicians, Circus Model Builders Association, Circus Fans of America and Circus Historians. Mr. O'Neill served in the Air Force in the Vietnam War. Funeral services will be held at 8:45 a.m. Thursday at the Carmen F. Spezzi Funeral Home, 15 Cherry Lane, Parlin, followed by a 9:30 a.m. Mass at Sacred Heart R.C. Church in South Amboy, with burial to follow at Chestnut Hill Cemetery, East Brunswick. Calling hours at the funeral home will be 2 p.m.-4 p.m. and 7 p.m.-9 p.m. on Wednesday. The family requests that in lieu of flowers, donations in Ed's name be made to the Sayreville Emergency Squad, P.O. Box 9, Sayreville, NJ 08872.